Marcel Golding was born in Johannesburg on 29 June 1960. He holds a BSocSc BA (Hons) at the University of Cape Town. Marcel started his career as lecturer and tutor at the University of Cape Town, 1980. In 1983 he became the Research Writer for the South African Labour Bulletin. From 1985 to 1993 he worked as the senior official and the Deputy General Secretary of the National Union of Mineworkers. In 1993 he proceeded to become the Speechwriter to President Mandela prior to the latter’s election as President of the Republic of South Africa, a position he held for a year. After this he was appointed Member of Parliament as the Chairman of the Mining and Energy Committee, and also Chairman of the Audit Commission. In 1997 he co-founded, and till 2014, served as Executive Chairman of Hosken Consolidated Investments (HCI), a publicly-traded company on the Johannesburg Stock Exchange (JSE) which is valued today at R17 billion. In 1998 he founded and served as CEO of South Africa’s first and only independent free-to-air television station, e.tv. 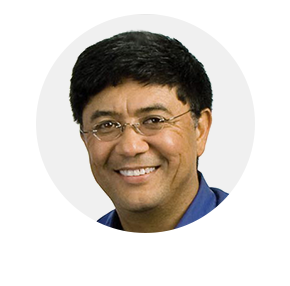 Till 2014, he transformed e.tv from a single-channel business to a diverse media group, Sabido Investments, with news services, digital offerings, production, distribution and publishing. Since 2015 he has been managing the family business and investment portfolio. Dr Adrian Sayers is a social and economic development, planning and labour market researcher and practitioner. Since its establishment in July 2012, he has been a founding director and shareholder of Tri DEV Worx AFP Pty Ltd, a specialist research consultancy that pursues sustainable socio-economic development through the application of innovative solutions. Adrian was awarded a doctorate in 2006 by the University of Cape Town for a dissertation titled: Development, Transformation and Freedom: Critical Perspectives on Development, Transformation and Freedom with reference to a Social and Economic History of the State, Markets and Civil Practices in the Western Cape of South Africa, c. 1910-1948. As a result of his subsequent practical research explorations, he was invited to contribute to prominent international scholarly events such as the International Conference on Emerging Directions in Decentralized Participatory Planning: Theory, Practice and Roles of the Planner, 2011, and the Development and Inequality in the Global South Research Institute, 2009. 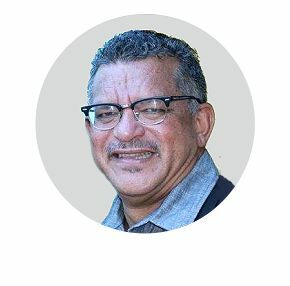 Dr Sayers is the founding Executive Director of the Western Cape Provincial Development Council, a position which he held for over a decade over the period 1996-2008. Between 2008 and 2012 he has served as a technical consultant and facilitator for the Mpumalanga Office of the Premier and GIZ to assist in establishing a provincial development council in Mpumalanga. Adrian is also a former Western Cape Regional Secretary and National Executive Committee and Central Committee member and Regional Education Officer (Free State, Western and Northern Cape) of NUMSA and COSATU Regional Economic Development Working Group Co-ordinator. Between 1989 and 1994 he was also a co-chairperson of the Western Cape Economic Development Forum. Before his involvement with NUMSA he also served as a trade unionist with SAMWU-CTMWA and CCAWUSA. While still at university he also worked as a researcher with the Southern Africa Labour Development Research Unit (SALDRU), School of Economics, UCT. John Volmink was born and raised in Cape Town, South Africa. He started his academic career at the University of the Western Cape where he graduated with a BSc degree in mathematics, physics and applied mathematics, and a BSc (Hons) in Physics. He later completed a Masters and PhD in Mathematics Education at Cornell University, Ithaca NY, United States of America. John started his professional career as a high school teacher and later became the Head of Mathematics at the then Peninsula Technikon. He also held various other teaching positions at other institutions, including the University of Western Cape, University of Cape Town and Cornell University. After 10 years in the USA and a brief stay at the University of Botswana, Gaborone, he returned to South Africa in 1991. He got involved in development initiatives as the Director of the Centre for Advancement of Science and Mathematics Education in Durban. John later served as Campus Vice-Principal at the then University of Natal and thereafter, Pro-Vice Chancellor: Partnerships at the University of KwaZulu-Natal until 2004. During his term at the UKZN he was responsible for partnership programs with business, government and the community and served as the Executive Director of the Development Foundation of the University. John has also been centrally involved in curriculum reform in post-apartheid South Africa and has been asked by all four Ministers of Education to play a leading role in the transformation of education in the new South Africa. He served as the Chairperson of the Umalusi Council for many years, and more recently, he also served for two years as the CEO of the National Education Evaluation and Development Unit (NEEDU). John is currently the Chairperson of MIET Africa and continues to provide leadership on the boards of several other South African and international non-governmental development organizations involved in education, health and community upliftment. He has also been involved in a Leadership Development Program for members of parliament and holds the position of Extraordinary Professor at North West University, Mafikeng Campus. After 25 years away from Cape Town, John returned and refurbished the house in Athlone in which he grew up and where he now lives again. John and his late wife Engela, who was also a teacher, worked together in voluntary community-based educational projects in the Athlone area with a focus on young people. Ncebakazi Mnukwana is a music educator who spends most of her days training music teachers, teaching ethnomusicology and World Music at the Konservatorium at Stellenbosch University, South Africa. When awarded an academic scholarship to study towards a Masters in multicultural education at the Oslo University College, Bakazi became the musical director of Inkululeko (2002 – 2005), a choral ensemble formed by the South African political exiles in Oslo, Norway in the late 1980s. Back in Cape Town, she volunteered as the vocal instructor and conductor for The Pilgramage Ensemble (2009 – 2012) at the Mowbray Seventh-Day Adventist Church. 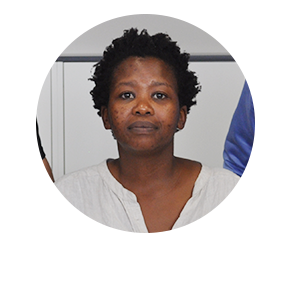 Currently, she is reading for her PhD at the University of Cape Town with a special focus in umngqokolo, the overtone singing of Xhosa-speaking adolescent girls. In 2007, Bakazi was awarded the Research Associateship and AW Mellon Foundation Scholarship by the University of Cape Town. At Stellenbosch University, Bakazi was the recipient of the AW Mellon Doctoral funding, is a mentee in the AW Mellon Mentorship Programme and was a recipient of the Rector’s Award in 2015. She is an active member of the Cape Cultural Collective, where she has been singing in the multilingual choir Rosa since 2012. She was an indigenous instrumental soundscaper for uHadi (2013), a poetry and music stage production commissioned for the French South Africa Season 2012-2013. She did the same for Igqhiya Emnyama (2015), and for the Infecting the City Festival in Cape Town, and Insurrections III: The Storming (2015). 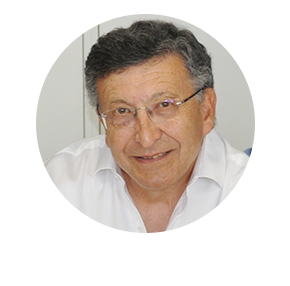 Dr Bernard Fanaroff is the Project Director of the South African Square Kilometre Array Telescope Project and is a strategic adviser to the project. He holds a BSc Hons in Physics from the University of the Witwatersrand, a PhD in Radio Astronomy from Cambridge University and honorary doctorates from six South African universities. He was awarded the National Order of Mapungubwe in Silver. He is a Visiting Professor in Physics at Oxford University, a Fellow of the Royal Astronomical Society and a member of the Academy of Science of South Africa. He was named Ambassador of the Year by Die Burger and the Cape Chamber of Commerce in 2012. Dr Faranoff has been a non-executive director of Eskom Holdings SOC and a member of its Audit and Risk Committee and the People and Governance Committee (remuneration committee). He is a director of the SKA Organisation (a company not for profit registered in the UK). In 1994 he was appointed Deputy Director General in the Office of President N R Mandela and the Head of the Office for the Reconstruction and Development Programme and was from 1997 the DDG in the Secretariat for Safety and Security, Adviser to the Minister for Safety and Security, Chairman of the Integrated Justice System Board and Chairman of the Inter-Departmental Steering Committee for Border Control. He was the National Organiser and National Secretary of the Metal and Allied Workers Union and the National Union of Metalworkers of South Africa and was a member of the COSATU Central Executive Committee. Nazeema Mohamed is an independent consultant. She served as the Higher Education for Social Justice Program Officer at Ford Foundation’s Southern African Office until 31 March 2015. Prior to joining the Ford Foundation, she was Transformation Director at the University of Witwatersrand (Wits) between 2008 and 2013. She also served as Transformation Manager at the University of Cape Town for approximately five years. Her training and expertise is in higher education policy development with a focus on equity and social justice concerns. Nazeema has worked as a policy analyst, consultant and manager in higher education. She has worked at the University of the Western Cape, the American Council on Education and the Centre for Education Policy Development. She served as Parliamentary Liaison for the Africa Institute of South Africa, was a Director of Policy Development in Higher Education in the Department of Education, was appointed to the first National Youth Commission by former President Mandela and has served on several governmental committees. Nazeema is a gender activist and has worked on issues of gender equity throughout her career. She was appointed by the Minister of Higher Education and Training to the Ministerial Oversight Committee on Transformation two years ago. 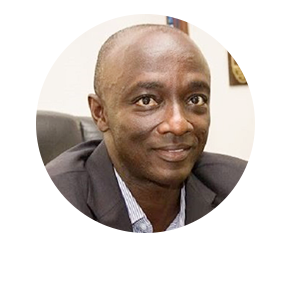 Edward Boateng is the Executive Chairman and Group CEO of Global Media Alliance, a Pan African integrated media and entertainment company. Edward is the past (August 2007 to December 2009) Chairman of the Millennium Development Authority Ghana (MiDA He also served on the Board of National Communications Authority of Ghana (NCA) from 2001 to 2004 and was reelected from 2006 – 2009. Amongst others, he has also served on the Board of Africa Economic Forum (1999-2003) and the Foundation for Africa Media Excellence and in an advisory capacity on the Millennium Cities, Kumasi Development Initiative. Previously as the Africa Head of Turner Broadcasting Systems (TBS), he led the drive to establish TBS brands such as CNN, Cartoon Network and Turner Classic Movies into household names in Africa. He was the initiator of the weekly Inside Africa Program that chronicles the stories of Africa on CNN every week. He holds a BA from the Kwame Nkrumah University of Science and Technology, an MBA from Clark Atlanta University and a Diploma in Leadership Management from Yale University. Gary Jansen has practiced law since 1984. He was articled to Y. Ebrahim and Co. where he established himself as a Human Rights Lawyer, working to assist communities in a range of political issues. Gary’s work has continued to be focussed on business development and using his skills to unlock opportunities for broad-based black economic empowerment and ensuring that successful businessmen from local communities continue to contribute to community development. Ex Officio Noel Daniels holds an M.A. in Education Administration and Management from the University of California, Berkeley. He is an active life-long learner, an accredited Assessor, and has completed a coaching course with CRR Global. Currently he is conducting a longitudinal ethnographic study focused on Adult Learning and Poverty for his PhD thesis. He has worked in all levels of the education and training system and also in all sectors – business, NGO and government. For the past ten years Noel has been a co-owner and the Managing Director of The Fundamentals Training Centre which now is a social enterprise within Cornerstone Institute. Noel is actively engaged in a number of leadership and management initiatives. His track record includes lecturing on the University of Cape Town’s Bachelor of Education (Honours) Educational Leadership and Management course and the Advance Certificate in Education: Education Management Leadership Development programme for which he has provided project management, planning, lecturing, coaching and mentoring, assessment and moderation services. He is passionate about community development and was fully engaged in FTC’s own Higher Education and Training Certificate (HETC) in Development Practice, aimed at community-based leaders, especially youth and women. He has developed a Youth Development Facilitators training programme for UNICEF, entitled Pathways to Possibilities, which is currently being implemented by the National Association of Child and Youth Care Workers (NACCW). Under his leadership, FTC was appointed as the South African representative of the International Youth Foundation (IYF) Passport to Success programme and he facilitated FTC’s partnership with the British Council’s Connecting Classrooms programme. Noel is the recipient of the United Nations-sponsored Karmaveer Award for his contribution to leadership development which he collected in New Delhi, India in November, 2013. Noel contributed to the Indian best-seller, Karma Kurry by writing a chapter on Kumi Naidoo, the ex-Director of Greenpeace International. 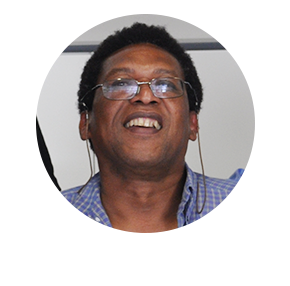 Currently Noel serves on the boards of two non-profit organisations. 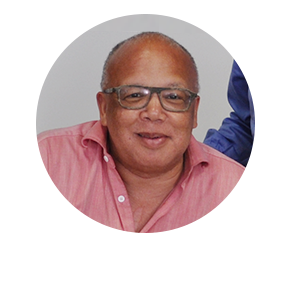 He is a Trustee of Inyathelo: The South African Institute for Advancement who works to build a vibrant democracy in South Africa by strengthening civil society organisations and higher education institutions and developing a strong philanthropic movement. He is also Inyathelo’s treasurer, and serves as an adjudicator for South Africa’s premier philanthropic awards which are convened by Inyathelo. He is also the Treasurer of Darkroom Contemporary, a physical dance theatre company which focuses on accessible physical theatre, dance film and community outreach. He actively supports this company in its quest to use arts and culture to address social challenges. Previously Noel served as Chairperson of African Development Options, an organisation which focused on poverty alleviation and employment creation. In this capacity and as the Training Director, he was instrumental in the creation of Duinepos Chalets – a flagship model for poverty alleviation in South Africa. 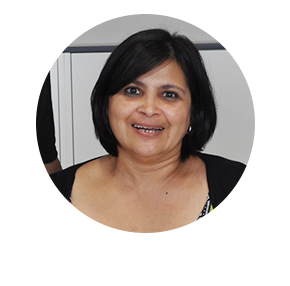 For the period 2012-2014 Noel was the chairperson of the Cape Chamber of Commerce’s Human Resource Portfolio Committee. 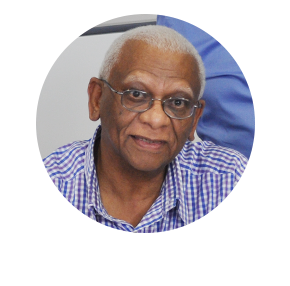 Previously he served as chairperson of the Chamber’s Athlone and Cape Flats Branch and he also served as an elected member of the Chamber’s Cape Town Chapter committee. He represented the Chamber on the Premier’s Council of Skills. Noel has served as Cornerstone’s CEO for the past 18 months and takes responsibility for driving Cornerstone’s vision, mission and 10–year Strategic Plan. As the proud father of a teenager, Noel is particularly concerned about how we actively realise and build meaningful legacies today, to ensure a sustainable and brighter future for tomorrow’s generations.